Google has just introduced its new Android platform for smartphones, but the new OS won't be released until later this year. Even so, the previous version, Android Oreo isn't used by a large audience, which was to be expected if you look back at how things evolved in the last couple of years. Last month Google confirmed Oreo is on 4.15% of the Android devices, and this month, for the first time since its market release, Android O's market share is above 5%, although not by much. 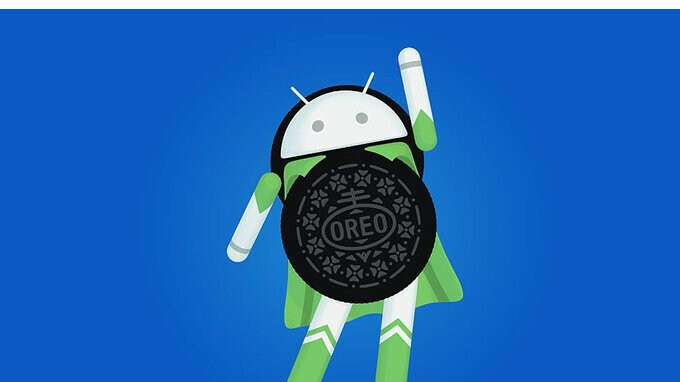 The numbers show a 1% increase for Android Oreo in just a month, which isn't much. However, we can safely assume Oreo will continue to expand in the coming months at an even quicker pace. For the time being, Google reports Android 8.0 and 8.1 combined account for 5.7% market share. Android Nougat continues to top the hierarchy with 31.1%, followed by Marshmallow with 25.5% and Lollipop with 22.4%. The top ends with Android Jelly Bean (4.3%), Ice Cream Sandwich (0.4%), and Gingerbread (0.3%). The numbers published by Google have been collected during a 7-day period ending on May 7, so they're as accurate as it gets. Also, Android Froyo doesn't show up in the statistics since it has less than 0.1% market share now. Lets see how Treble affect this. Big manufactures 'might' embrace 3 years worth of updates for their flagships but I doubt their sub $200 smartphones will get any TLC. The world relies on the poor and yet it only cares for the rich... Oh well... Whatever! G'Day! It’ll shave weeks, maybe a month off at best. May update kill anyone elses batter life with a pixel 2 xl? Treble seems to be so terrible. Android fragmentation is so deep and unavoidable. They always release these inflated numbers after the Galaxy s series is released. Would be interesting to see the number only including updates from previous versions of android. The numbers get released every single month, so that's clearly wrong. Google has got to do something about this. That’s plain terrible. Not really, all Android apps are updated through the Google Play Store so pretty much all apps currently on Android phones are more up to date right now than pretty much all iOS devices which have to wait for iOS releases for system app updates. Second, most new APIs are available through the compat library for developers as well. Google has done pretty well to mitigate the damage from slow updates for the most part and Treble should finally bring that last issue to a close as well. Most iOS devices do not even get the full feature set and usually get throttled after updates so hopefully Google does not follow in Apple's footsteps update wise. That makes the apps bloat valuable internal storage even more. Most app developers don't even opt for the split APK option, and as a result, the binaries get twice as big as necessary. Android and its PlayStore are such a mess. Firstly, source that because that is basically conjecture. Also, the app doesn't get any more bloated because of anything I said, the app will be bloated if it is bloated. Having them update through the play store doesn't make them any worse than having them in a system level update. Also, most of the major OEM developers use split APK options. Samsung, LG, Moto, etc. (whoever else has developer resources) have stated those options and more for APK size reduction and so it can be assumed at least that they themselves employ those options. iOS? Why bring iOS up? This is pathetic to be honest. This coming from an Android user. What's the big deal,am sure only Smartphone enthusiasts on this and other forums really gives a hoot..personally am cool with anything Marshmallow and up..as long as it's stable..
Fragmentation. Security. Planned obsolescence. Not getting new OS features. Just a few reasons. Exactly. Things that your average smartphone buyer doesn't know or care about. You got a poll of things average smartphone buyers care about? Sure did. Glad you asked. The overall app quality suffers thereby, and it DOES matter. Google should forbit them to bring phones with previous version after Xmas. 5% ROFL. Does it matter?